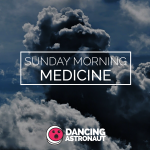 As the music industry is quickly changing direction from downloading to streaming services, Dancing Astronaut provides you with our favorite dance music Spotify playlists from labels, artists and miscellaneous sources to suit different tastes and genre. Thomas Gold takes on this week’s Spotify playlist of the week featuring his favorite songs at the moment including over 200 tracks from artists like Hardwell, W&W, Hard Rock Sofa and Armin Van Buuren. Check out our nu disco, deep house and trance playlists if you’re looking for further variety.